As an industry consultant and a member of the original CSIRO Steering committee for the CSIRO/RIRDC CSA-17A Super Yabby Research project I am still involved with requests for further information and participation in current projects relating to the CSIRO SUPER YABBIES and yabby farming generally. In addition to my commercial ventures, recently I had cause to review the project and provide information for a forthcoming Yabby Farming Field Day at Griffith NSW being held by the NSW Aquaculture Association Inc. (NSWAA) www.nswaqua.com.auin March 2015. As secretary of the NSWAA I compiled the following. Some of the following is what you will also find on the NSW Aquaculture site with a lot more commercial farming information added in this article. 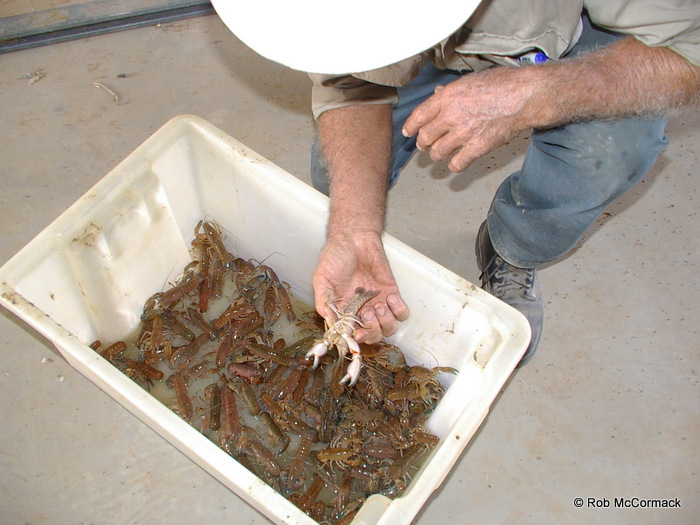 If you would like to see the NSWAA article http://nswaqua.com.au/super-yabbies-developed-by-the-csiro/ The NSWAA article contains all the scientific information, papers, photos and reports but only available to members via their member’s library. This article is more general information without the reports and scientific manuscripts. 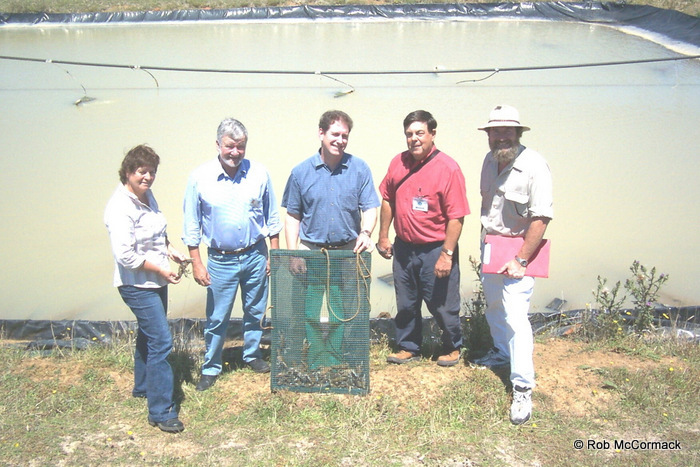 Back in 1998 the CSIRO Livestock Industries at Chiswick near Armidale NSW self-funded a research project aimed at increasing the productivity of farms through genetic improvement of yabby stocks. Historically the CSIRO at Armidale (http://www.csiro.au/Portals/About-CSIRO/Where-we-are/New-South-Wales/FD-McMaster-Lab.aspx) started as a sheep research facility in the 1950’s. However, due to the decrease in wool and other commodity products that occurred in the mid 1990’s the CSIRO was looking for something sheep farmers could diversify into and identified yabbies/aquaculture as the option with the most potential. 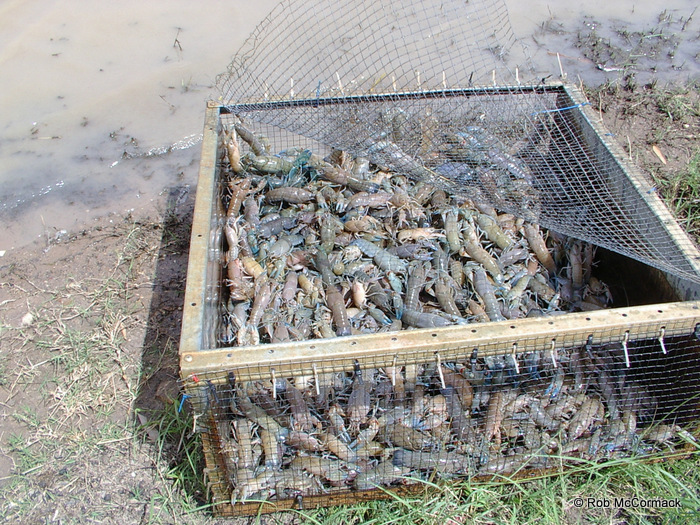 In mixed farming situations, risk spreading strategies such as diversification outside the traditional commodity mixes, can enhance economic stability and yabbies seemed ideal. The research program was led by Dr Dean Jerry whose vision and dedication to the aquaculture industry drove this project. Dean was an industry hero at the time and had the full support of the NSW Aquaculture Association and Industry. Dean started with an extensive search for naturally fast growing strains of yabbies. He finally selected 5 basic strains of yabbies from very diverse environments. From western Queensland, north western NSW, western NSW, the NSW Snowy Mountains and western Victoria yabbies were collected and sent to the CSIRO animal laboratories at Chiswick NSW. Dean and his team started with these different strains of yabbies but found very early on that 2 of the strains grew exceptionally faster, compared to the others (Jerry et al. 2001). Different strains of yabbies from different populations have a remarkable variety of different genetic traits, some of these are advantageous and some are not so attractive. The main trait that the CSIRO was interested in was growth; they did trials between the different strains and selected the two fastest growers which showed the most promise. Now you can speculate on the reason for this but coincidentally both of the faster growing strains where from the upper reach tributaries of the Murray Darling Drainage Basin. Yabbies are native to the Murray Darling drainage basin of Australia and thrive throughout the whole basin. The Murray Darling Basin covers one seventh of the Australian continent, over one million square kilometres, it includes 20 major rivers including the 3 longest, the Darling 2740 kilometres, the Murray 2530 kilometres, and the Murrumbidgee 1690 kilometres. The two strains selected came from the Warrego River in south west Queensland which is at the headwaters of the Murray River and the Tumut River which is at the headwaters of the Murrumbidgee River. 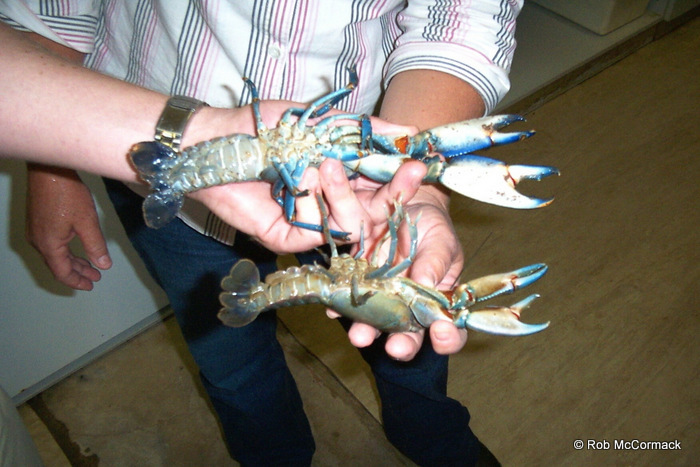 They selected the 2 fastest growing strains of yabbies (Cherax destructor) and in 2000 started a selective breeding program with these 2 varieties. 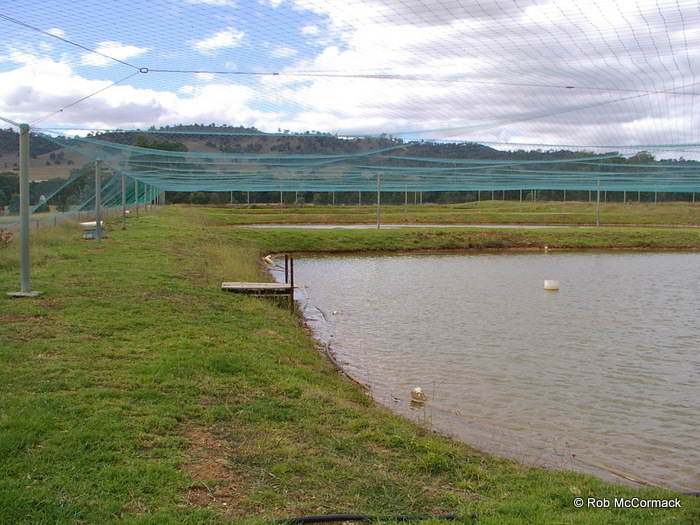 They started with 28 families of yabbies plus controls (over 300 yabbies initially). The controls were grown with the selected families to ensure accurate results, but tagged to identify them. The idea was to use these selected strains as the genetic base for a selective breeding program to further improve growth rates and to use the controls to monitor the progress. The process was quite simple with single sire mating occurring in glass aquariums. This allowed full control of the breeding process and ensured that inbreeding was not a problem. 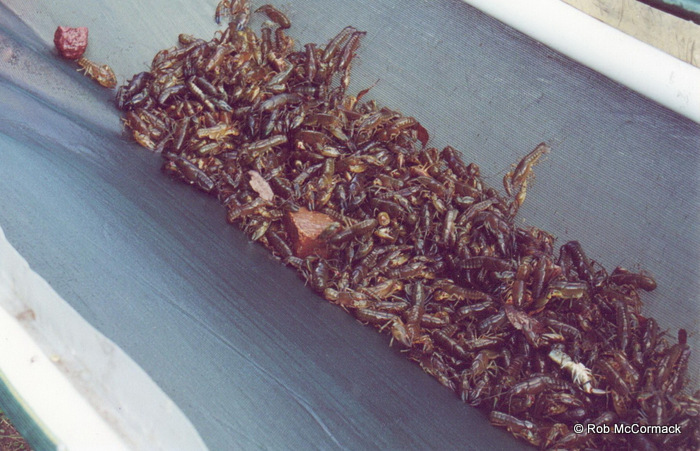 Juvenile yabbies were then raised in the CSIRO hatchery till they were between 0.4 and 1 gram. The juveniles were then tagged with an elastomer insert and transferred to the outside ponds for the growth trials. The first F1 generation of yabbies at an average weight of 0.59 gram were stocked into the earthen ponds and grown for 78 days. 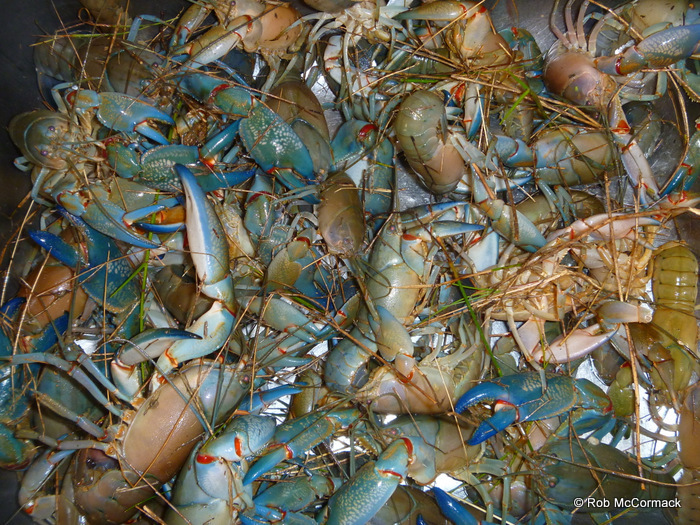 Overall 62% of yabbies stocked survived and the mean weight of the crayfish harvested was 30.7 gram. There was a vast difference in individual size with for the males the largest was 52.6 gram and the smallest 16.5 gram. However, the bottom line is that the selected yabbies grew 14% bigger than the controls. The individuals both male and females with the best growth were then selected as broodstock for the next generation. In 2001, the Rural Industries Research and Development Corporation (RIRDC) who are supportive of rural industries and had a bit of vision, agreed to fund the CSIRO for an ongoing 3 year research project. This was the same year the first generation of animals were evaluated and selected for growth and progeny. With a bit of support from the RIRDC and lots of interest and enthusiasm from industry and the community the CSIRO started on the second generation under the leadership of geneticist Dr Ian Purvis. F2 yabbies were hatched in the glass aquariums, grown to an average weight of 0.43 gram, elastomer tagged and released into the ponds in the first week of January 2002. They were allowed to grow for 205 days this time till mid July which is the heart of winter. Survival this time was only 55% all up but a longer grow out time and two months of winter, plus the drought all took a toll. Mean crayfish weight this time was 70.1 gram with the smallest being 43.8 gram and the largest 133 gram. In 2002, this second generation of animals where harvested from the CSIRO earthen ponds and measured for 11 different characteristics (weight, carapace length, tail length, tail width and claw size, etc). The results were remarkable, in a nutshell the selected yabbies grew much faster than the standard control. As expected female yabbies grew slower than the males but still averaged a 10% increase in growth rate per generation. The big improvement, however, was in the males. Male yabbies in the first generation grew 14% faster than the standard controls. Male yabbies in this second generation grew 14% faster than the controls again. So, in just 2 generations they had a 28% increase in growth rates, imagine what this will be like in 10 generations time. The best of the animals harvested in July were over wintered in an internal recirculation system and then bred to produce the third generation F3 which went into the ponds at 0.5 gram in mid December. They need to be 0.5 gram to allow tagging for identification to occur. Yabbies were grown in the ponds for 163 days and survival again was 55%. Average mean weight was 64.8 gram and ranged from 55.7 to 105.2 gram (Jerry et al., 2005). The funding so generously supplied by RIRDC finished so the project wound up and Dean published a paper in 2005 on the genetic breeding program. The last harvest of the F4 generation proved hard to interpret as initial indications that this generation only had a 10% increase of growth instead of the 14% expected. The problem is that in the pond this time is a far greater number of yabbies than expected. Uncontrolled in pond breeding is a major problem that plagues the commercial yabby farming industry. Typically, yabbies can breed from a small size and only 5-6 months of age. A 10 gram, 24.5 mm OCL yabby can have 150 eggs. Generally, the smallest size yabbies harvested are 30 gram so if yabbies waste energy breeding and then thousands of extra yabbies enter the pond population then they consume resources further slowing the growth of the whole pond population. It may be that with these improved strains that because they are growing so much faster, they are now also maturing faster, so breeding earlier and as they are bigger having more young when they breed and those young are growing incredibly fast, so the pond biomass just explodes which strains the available food sources, limiting growth of the pond population as a whole except, for the more aggressive dominant males that still get more than their fare share. This may account for the vast differentiation in size with the F4 generation which varied from 40 gram to 180 gram. The CSIRO research was spectacular and an eye opener for many yabby farmers. Unfortunately, the yabby industry as a whole has not been genetically improving their stock in a consistent manner; in fact most are doing the opposite. Yabbies are in tremendous demand and as a rule every yabby farmer in NSW and Victoria just never has enough yabbies to meet the overwhelming demand. Most farmers catch their yabbies in opera house traps, these traps tend to capture the larger yabbies first. There is a certain amount of yabby etiquette in yabby ponds and it is just common courtesy and safer for the smaller yabbies in the pond to allow the larger yabbies to have a feed first. Now yabbies by character are sneaky, so if a smaller yabby can pinch a bit of food whilst the big boys are not looking they will, but generally it’s the big boys that feed first as the males are the ones that grow the fastest. When you drop a trap into the pond you capture the largest fastest growing yabbies first and generally it’s large ones you need, so these yabbies tend to get sent off to market and any small sneaky ones capture returned to the pond. Unfortunately this leaves the smaller slower growing yabbies to breed so you are actually selecting for smaller slower growing yabbies. This is a common problem on most farms that do not have specific broodstock ponds or selective breeding programs. The CSIRO finished the research project and printed the final report in April 2006 (Purvis, 2006). The CSIRO to help the yabby farming industry not only release the research results to industry but they released the Supper Yabby. This was a fantastic boon for industry as these F3 and F4 generation yabbies are like getting a stud bull or ram. You can use these to breed up a whole new generation of improved super yabbies. Just one good male can look after dozens of females, so a few hundred improved yabbies to every farmer could go a long way to improving the industry as a whole. Unfortunately, Fisheries NSW classed the super yabby as genetically modified and had concerns for the indigenous species of crayfish if the super yabby escaped into the wild. 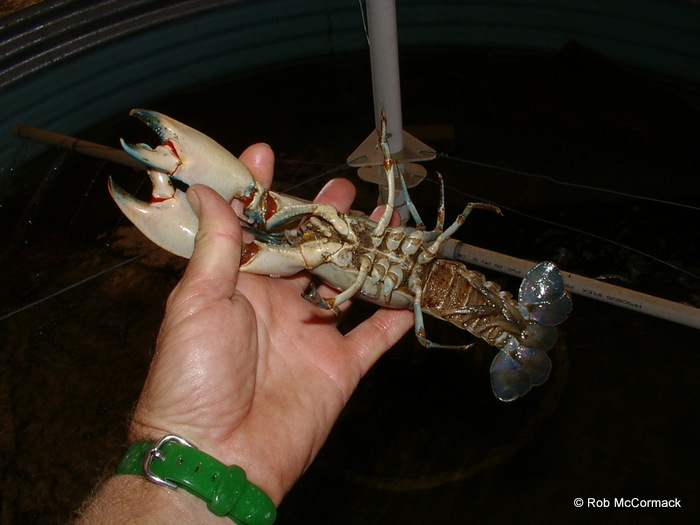 There are over 140 different species of freshwater crayfish in Australia (go to http://www.aabio.com.au/crayfish-list/ for a current list of all species) and most are nowhere as tough and hardy as the common yabby let alone a super yabby. In NSW the common yabby Cherax destructor is already creating havoc where it has been translocated into eastern drainages (Coughran et al.,2009; McCormack, in press). 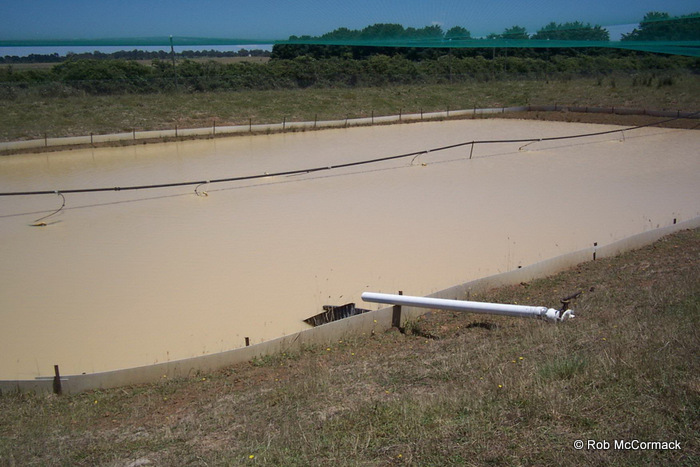 For industry to be allowed to culture the super yabby in earthen ponds strict environmental regulations were imposed by Fisheries NSW to protect the environment to ensure the super yabbies never escaped into the wild. As a thankyou to the NSW Aquaculture Association for their support and assistance over the course of this research project the CSIRO only released the super yabby stock to members of the NSWAA. With the strict Fisheries NSW restrictions and prior inspection of the properties by Fisheries to ensure the premises complied with the new regulations only 5 commercial farmers received this incredibly valuable super yabby stock. Now in 2014 only 2 of those farms/NSWAA members have maintained the genetic integrity of their super yabby stock, one here in NSW and another in Victoria. Neither of these two farms are selling their “Super Yabby Stock” but holding it for future development. However, one of these farms is on the verge of a major project to revamp the Super Yabbies and achieve the industry holy grail of an F10 generation. In NSW we have a “Class E” licence from Fisheries NSW that allows individuals to harvest yabbies from multiply sites. Yabbies (Cherax destructor) are indigenous to western NSW and most farm dams can support populations. 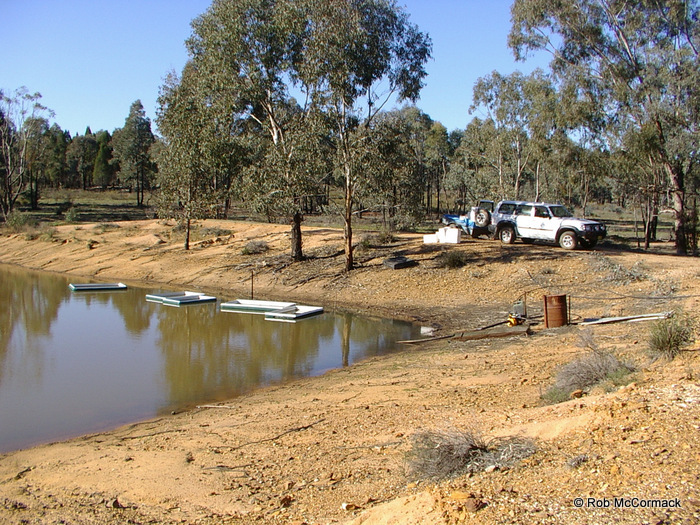 Typically, farm dams can be harvested at 300-600 kgs of yabbies per hectare of surface water per year. So if you have 10 only 1000 square metre surface area dams, this equates to a hectare in total. If you have 10 properties each with 10 dams then you can harvest 3000-6000kgs of yabbies per year. With a market price of $20/kg there is the potential for a nice living to be made. It’s not so easy as not every dam has yabbies, some are full of carp or spangled perch, etc. and only have a few yabbies. Distance is a big obstacle, as vehicle and fuel costs are a major consideration. Also weather is one of your greatest threats, droughts dry dams out, and wet weather makes driving through paddocks to get to the dams impossible. Add the fact that this is just a harvesting operation and most Class E operators have not learnt from the CSIRO research. They just trap, which selects the larger yabbies and harvest them so leaving the smaller yabbies to breed thus year by year slowly reducing the volume of harvest. Your next option is to have an extensive yabby permit from Fisheries NSW for your own property. Known as a “Class C” extensive aquaculture permit only allows you to grow and harvest not to feed your yabbies with artificial foods. This means you can manage your yabbies and dams better but only at natural levels as without additional food you are limited to the natural food available and production of the 600-800kgs/ha/year would be the maximum. You can however do some selective harvesting and actually, increase your harvest every year. Your final option is for the professional farmer that wants to maximise his yields and use artificial feeds to boost his production. 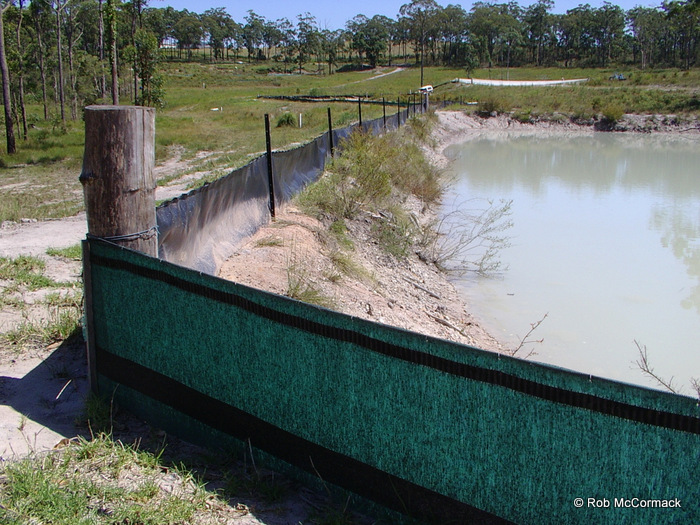 This requires a “Class D” intensive aquaculture permit from Fisheries NSW and comes with a number of restrictions to ensure the environment is protected. When you add food to a pond there is a greater risk that something can go wrong. If for example you add too much food and it’s not eaten then you can pollute the water. That polluted water is not allowed to escape the farm and must be irrigated, etc. Additionally, you are now growing higher densities than occur naturally and the risk from disease becomes a problem. Yabbies are relatively disease free but the same permit conditions apply regardless of species and fish can get any number of diseases; if they do the licence conditions ensure that the disease does not escape and impact the fish in the local creek, etc. The same goes for the CSIRO super yabbies, you would need a Class D permit for these with additional restrictions all aimed at protecting the environment. The NSW Aquaculture Association is holding a field day at Griffith NSW in March that covers everything above. If you’re interested in yabby farming then you should attend. If you’re interested in attending the Yabby Farming Field Day at Griffith NSW you can sign up here http://nswaqua.com.au/yabby-farming-field-day-griffith-nsw-13th-march-2015/ and we will send further information by email as it becomes available. Ill be chatting to attendants about yabby farming on the day – “hope to see you there”. Jerry, D.R., Purvis, I.W., Piper, L.R., and Dennis, C.A. 2005. Selection for faster growth in the freshwater crayfish Cherax destructor. Aquaculture, 247 (1-4). pp. 169-176. Purvis, I.W. 2006. Breeding Bigger Yabbies – Developing a genetically improved yabby to facilitate farm enterprise diversification. Report for the Rural Industries Research and Development Corporation RIRDC. Publication No 06/042. RIRDC Project No CSA-17A. ISBN 1 74151 305 7. McCormack, R.B. (in press). New records and review of the translocation of the yabby Cherax destructor into eastern drainages of New South Wales, Australia. Australian Zoologist.